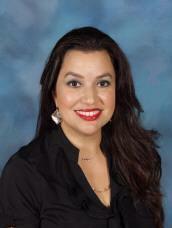 This is the third nomination earned by a McAllen ISD educator in the last two years. Dr. Garza was nominated for being an exemplary and proactive leader. She uses a data-driven approach to innovation in instruction in order to succeed among all grade levels. She creates a warm and cheerful campus atmosphere, handling conflicts and other difficult situations with remarkable patience and tact. Dr. Garza also serves the community beyond her school, organizing various charitable programs such as the Wilson Food Pantry, the Vannie Cook Cancer Clinic annual pajama donation and a Teddy Bear Drive for Mujeres Unidas. Wilson has also earned Gold status as one of America’s Healthiest Schools. It was one of just a dozen or so schools in the nation to earn this recognition from the Alliance for a Healthier Generation for its laser-like focus on children’s health and nutrition. It was written about in Women’s Day magazine. “She loves people, works hard, and always tries to lift the spirits of those around her. I believe these characteristics represent all that is good about our school and in our district,” colleague Donna Bzibziak, who nominated her, said. Last fall, Dr. Garza earned her PhD in Leadership Studies from Our Lady of the Lake University in San Antonio. This is her eighth year as Principal at Wilson. Earlier this school year, Vivian Tamez, a Foreign Language Teacher in the International Baccalaureate Programme at Lamar Academy, was also nominated for this prestigious award. Last year, Perez Elementary librarian Cynthia Cooksey received a nomination. 1 Grand Prize Winner – will receive $10,000 to be shared with their school/district. 4 Grand Prize Finalists – will receive $5,000 to be shared with their school/district. 10 LifeChanger Award Winners – will receive $3,000 to be shared with their school/district. 1 Spirit Award Winner – This award is given to the nominee whose community demonstrates the most support for their nomination. The winner will receive $5,000 to be shared with their school/district. 1 Spotlight Award Winner – This award is given to a nominee in a specific discipline each year. For 2018-19, the Spotlight Award will be given to a nominee who works in a counseling role. The winner will receive $5,000 to be shared with their school or district.